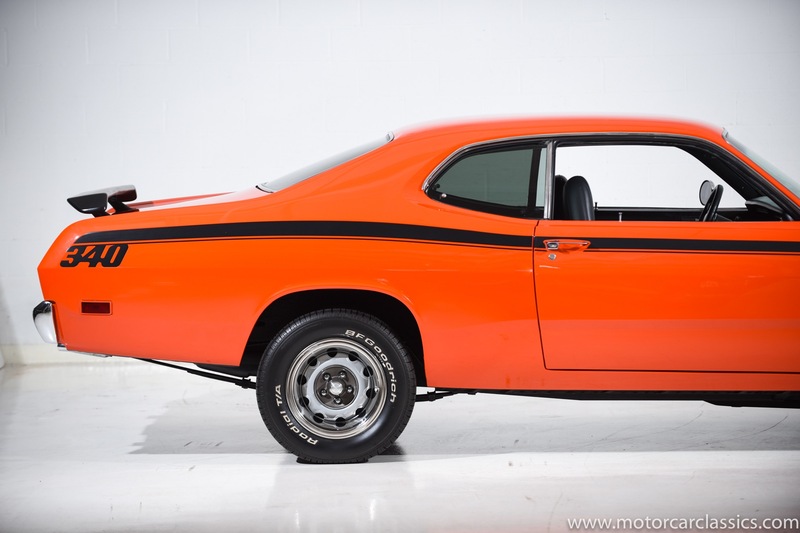 1971 PLYMOUTH DUSTER for sale. 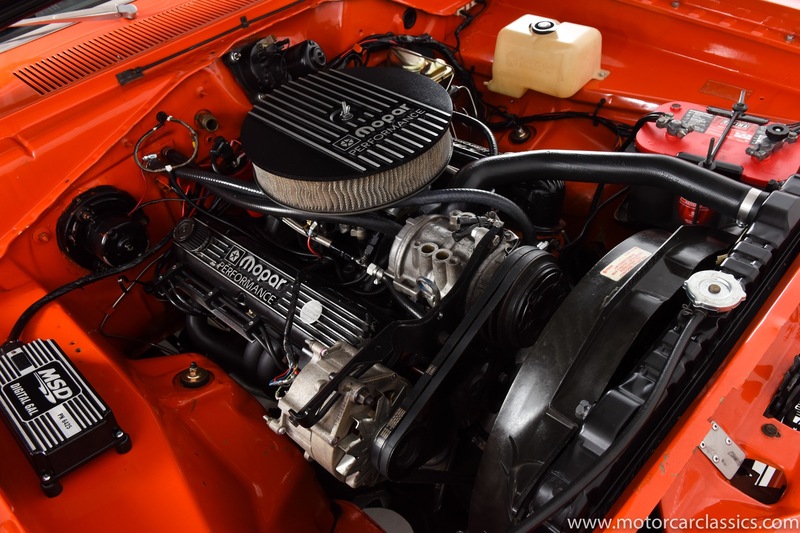 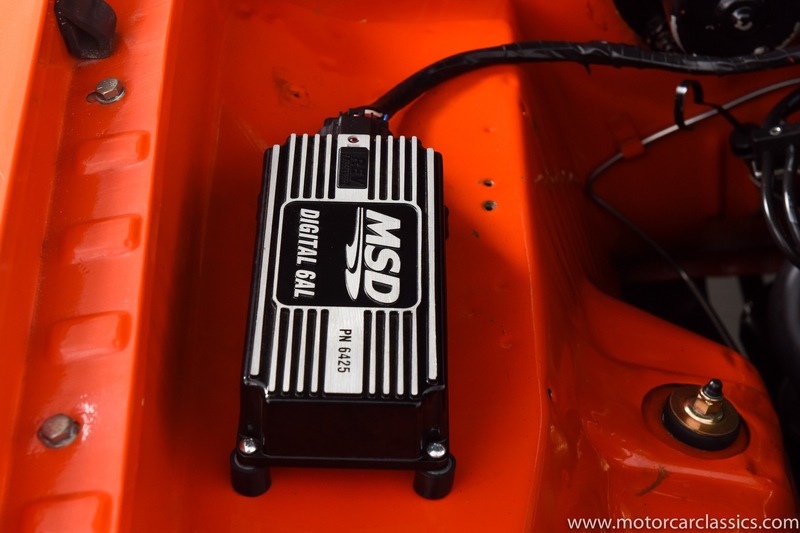 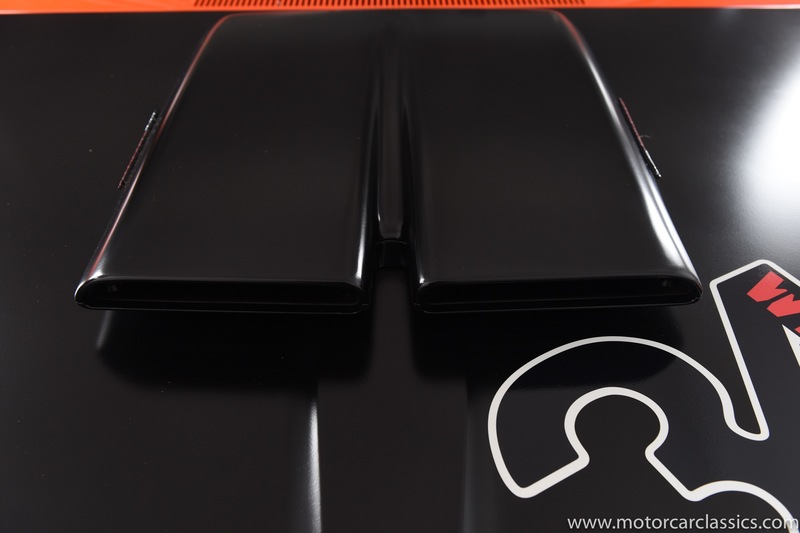 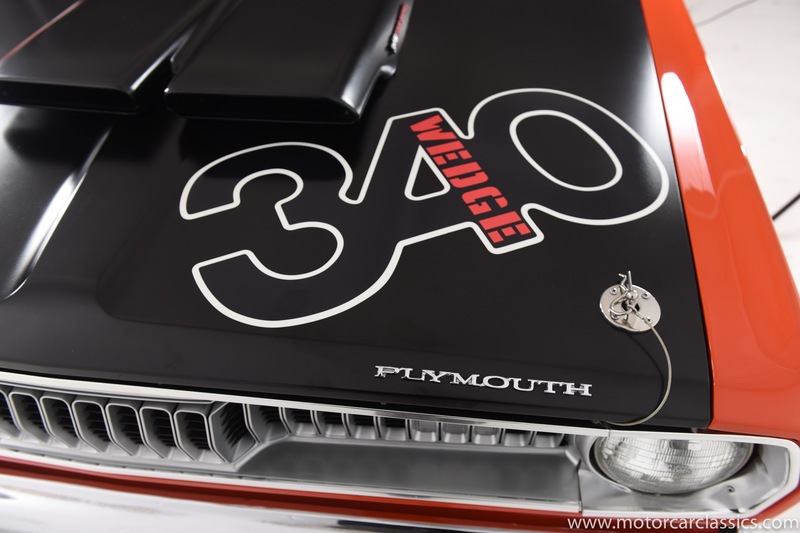 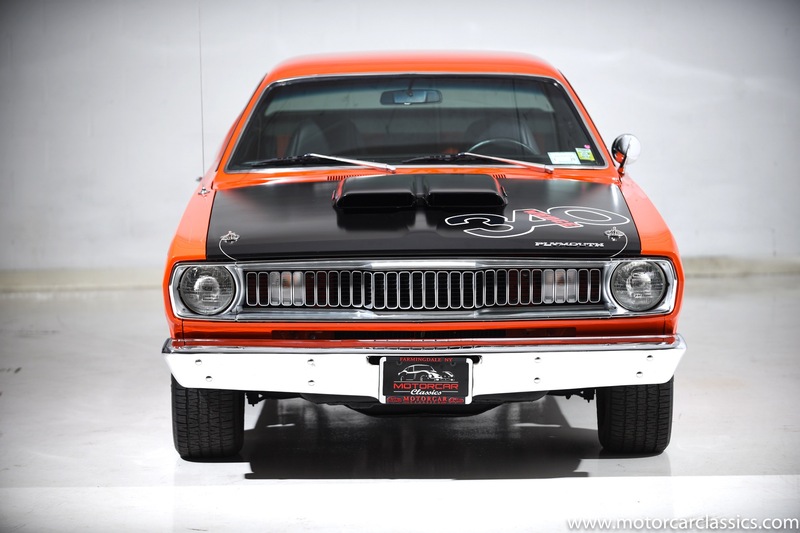 Motorcar Classics is pleased to present this meticulously built 1971 Plymouth Duster 340 Tribute Car. 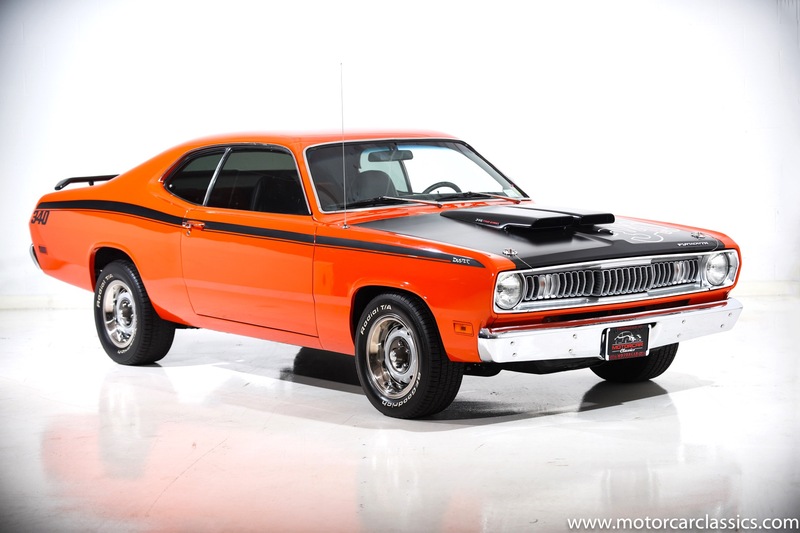 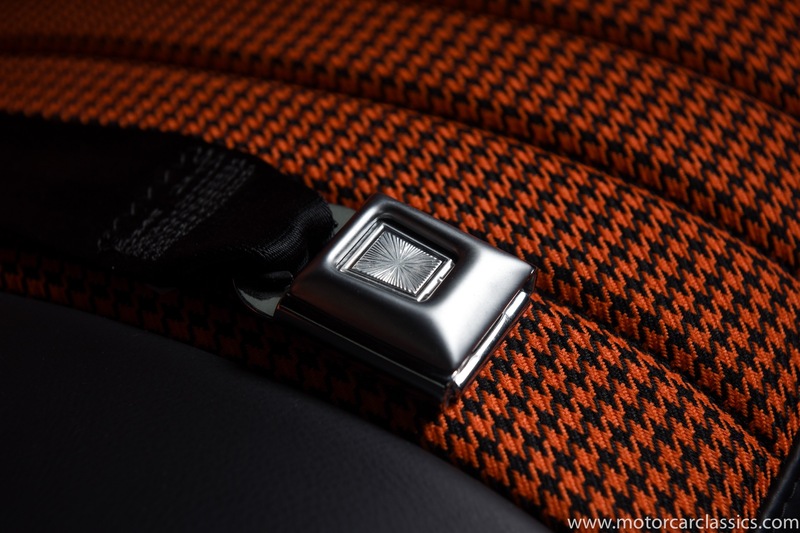 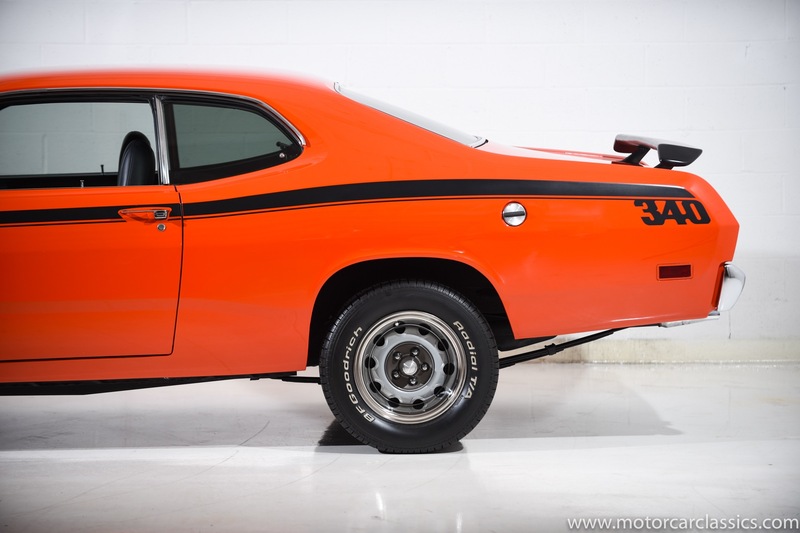 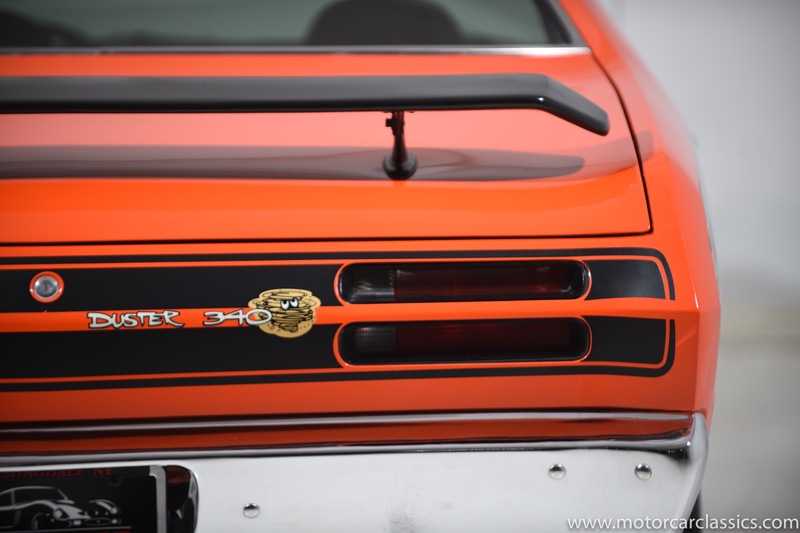 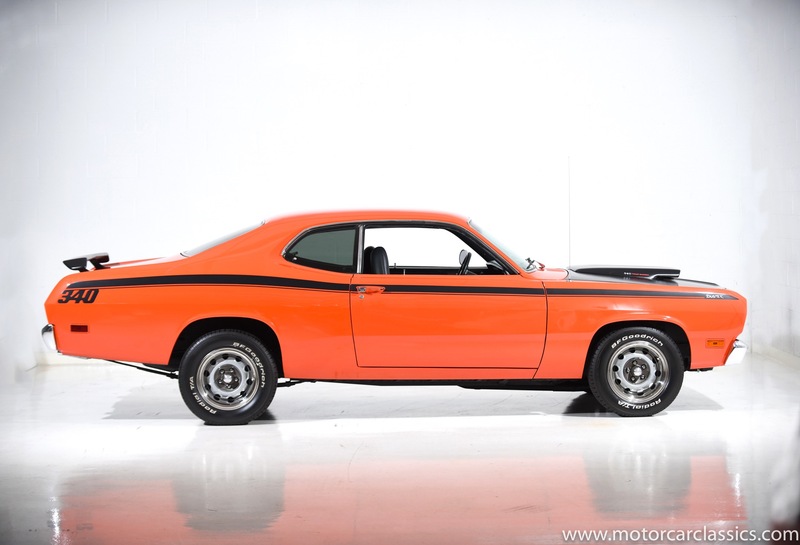 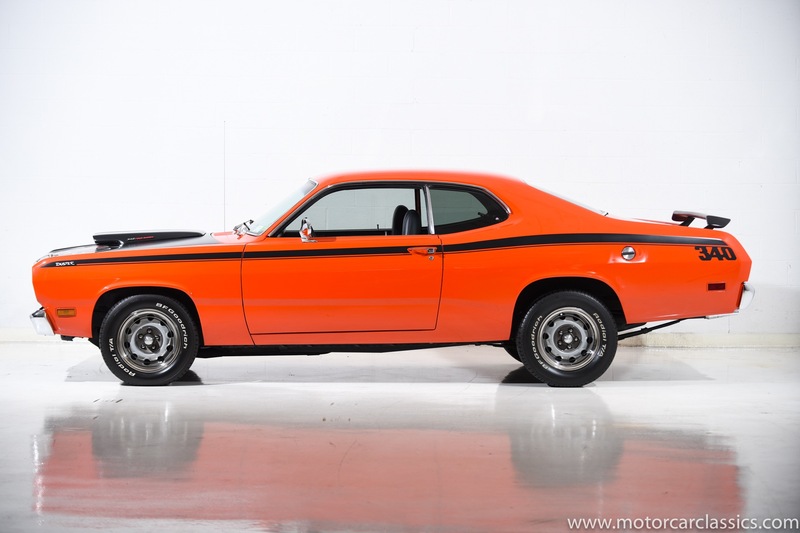 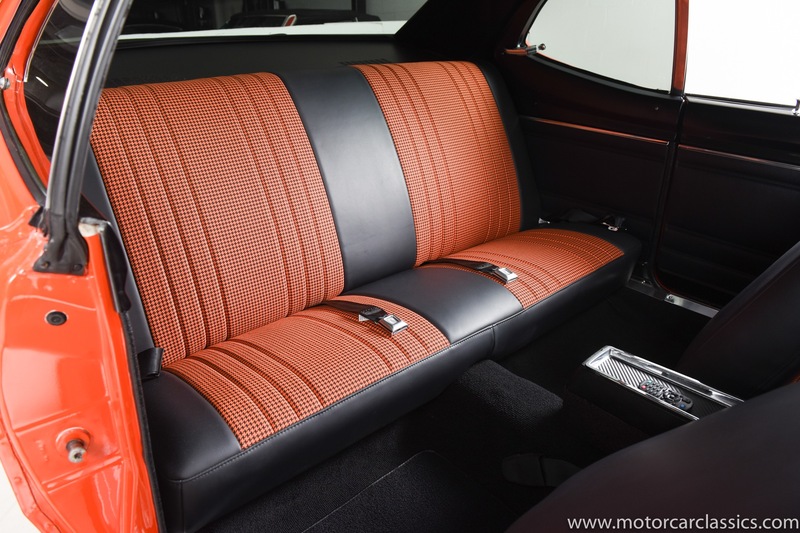 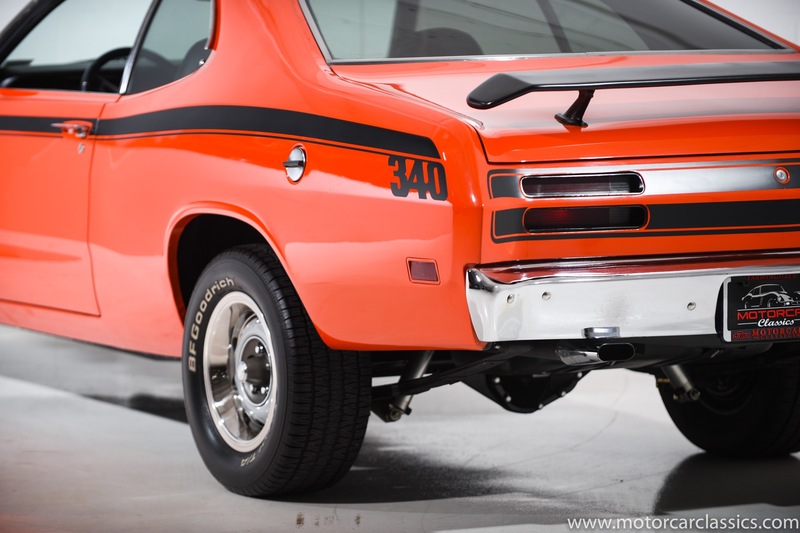 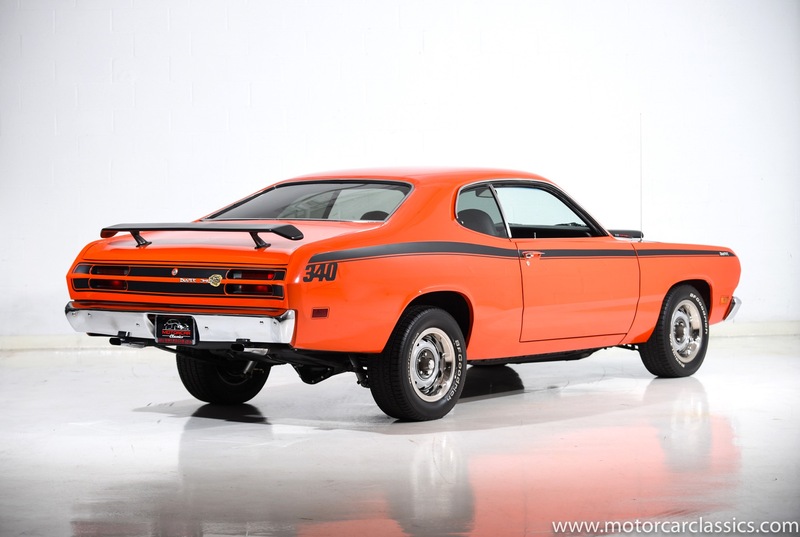 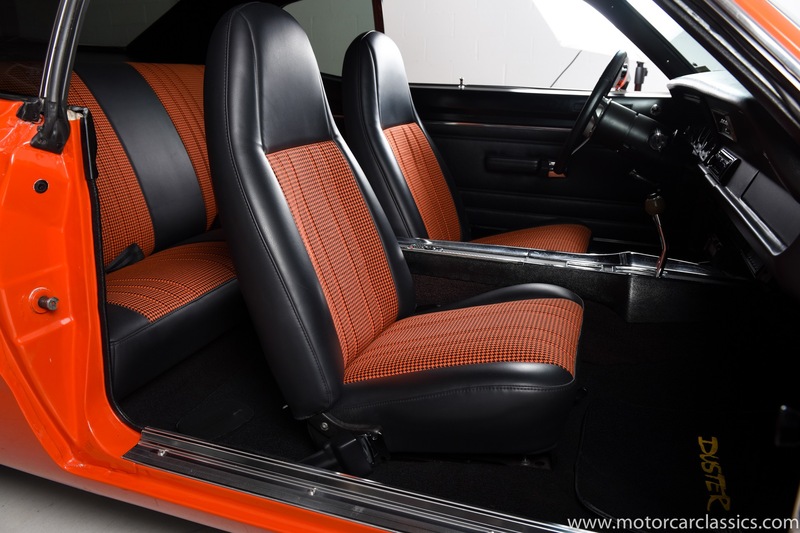 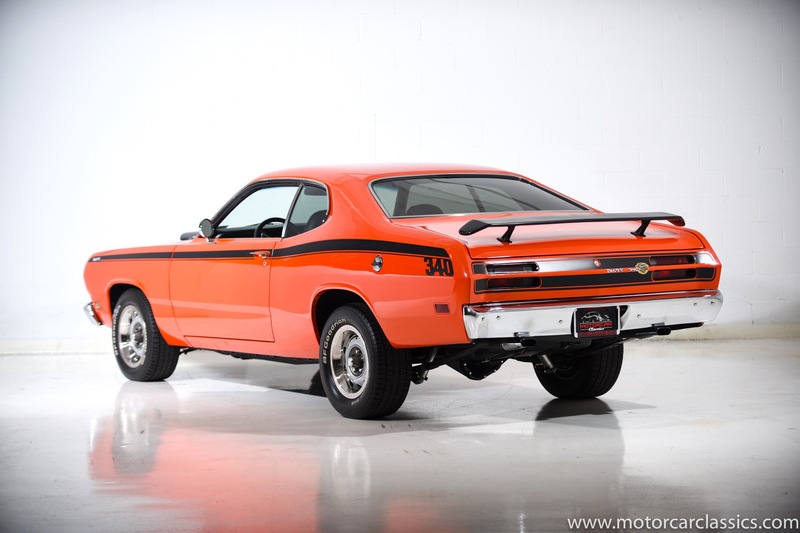 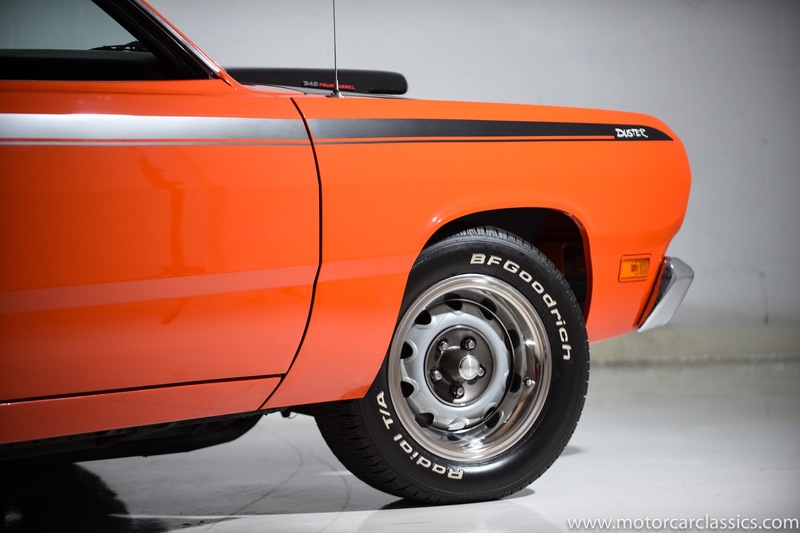 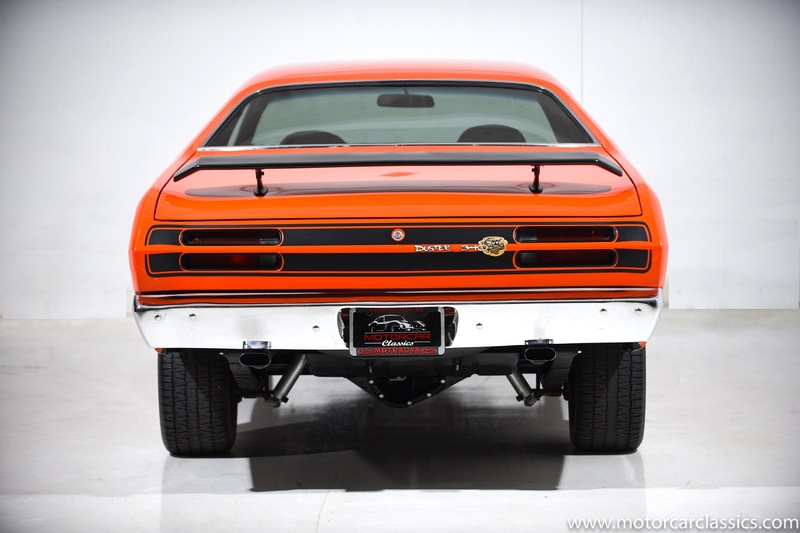 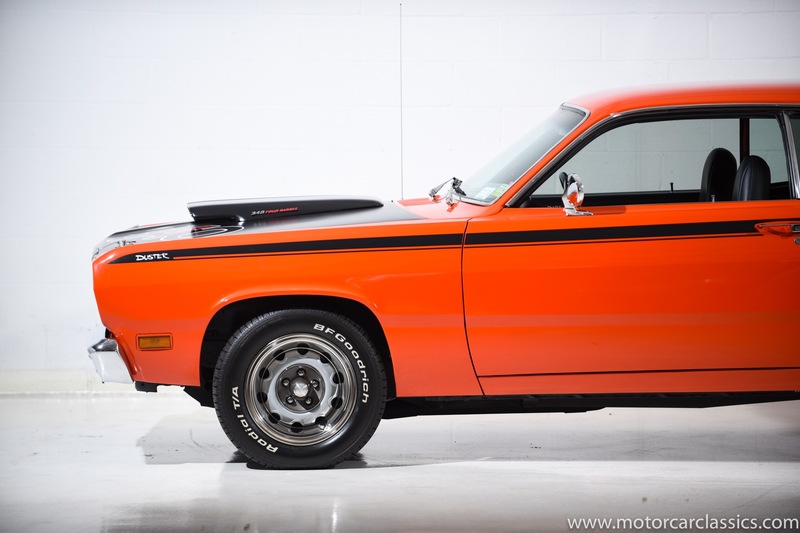 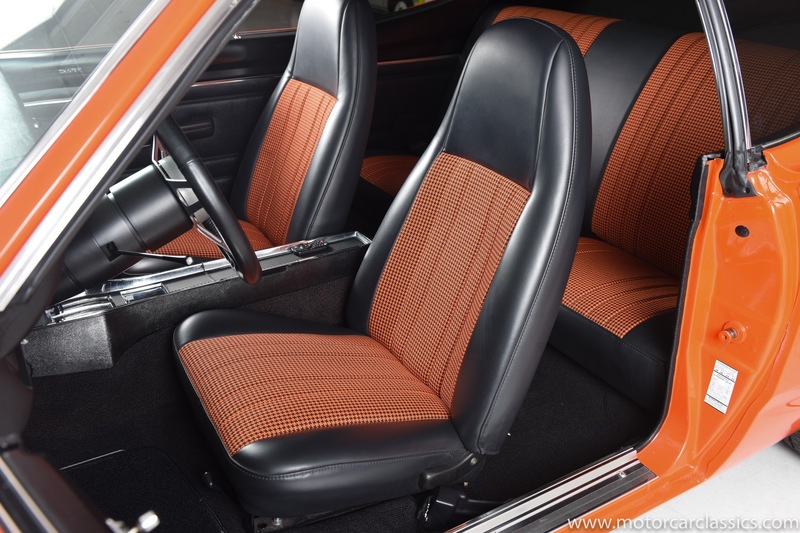 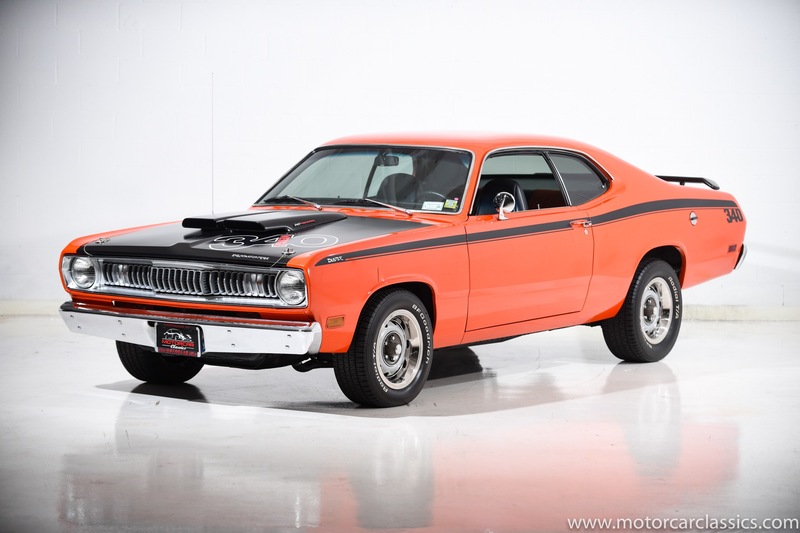 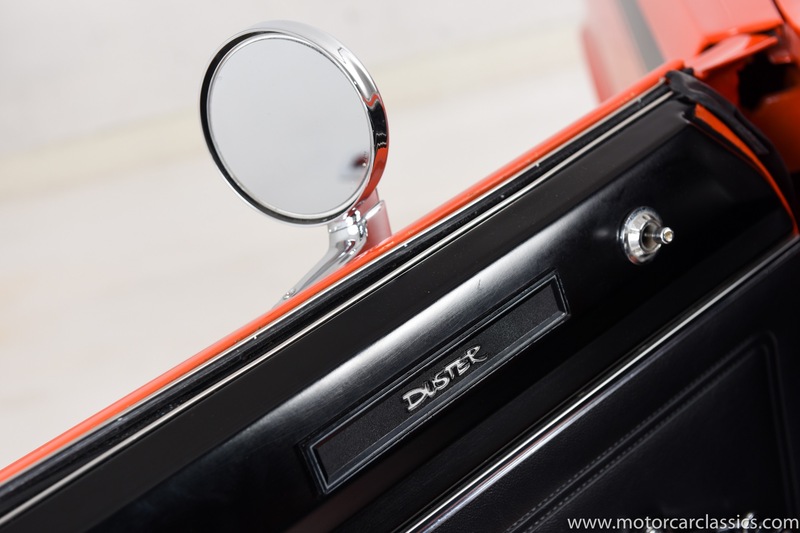 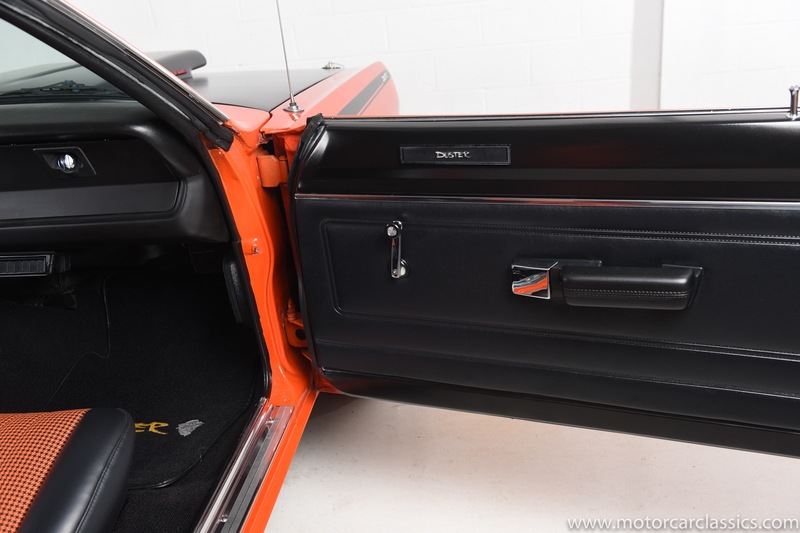 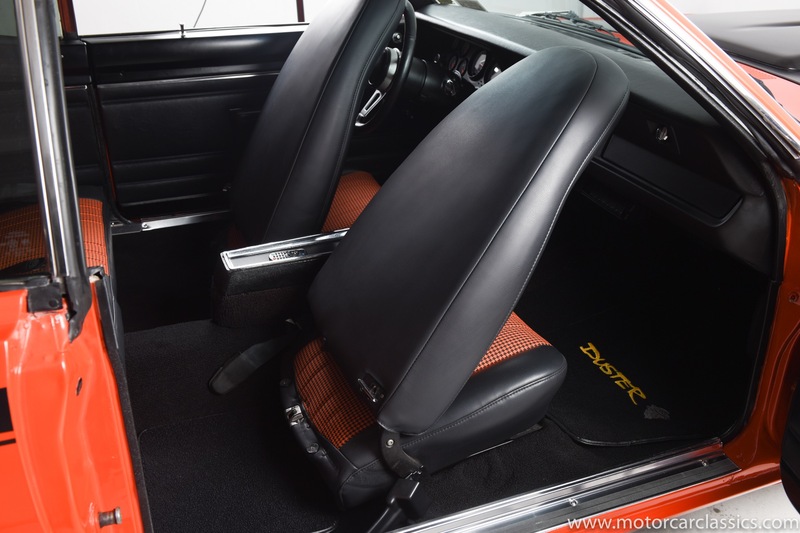 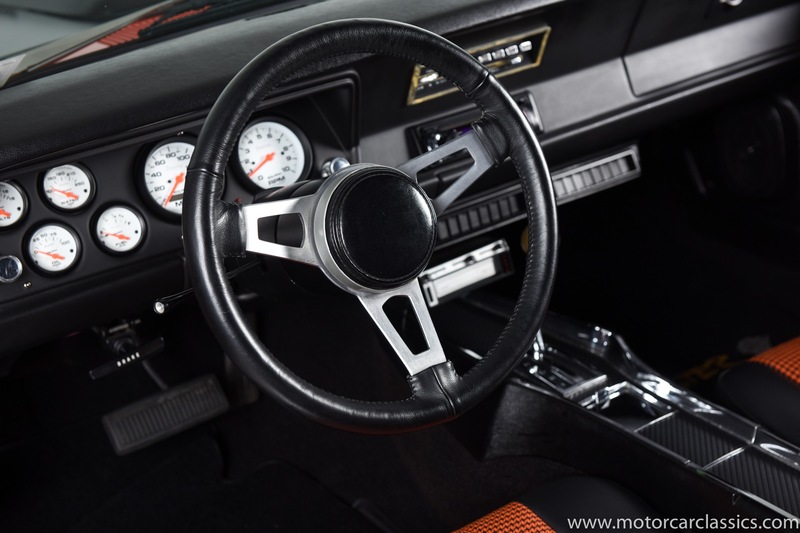 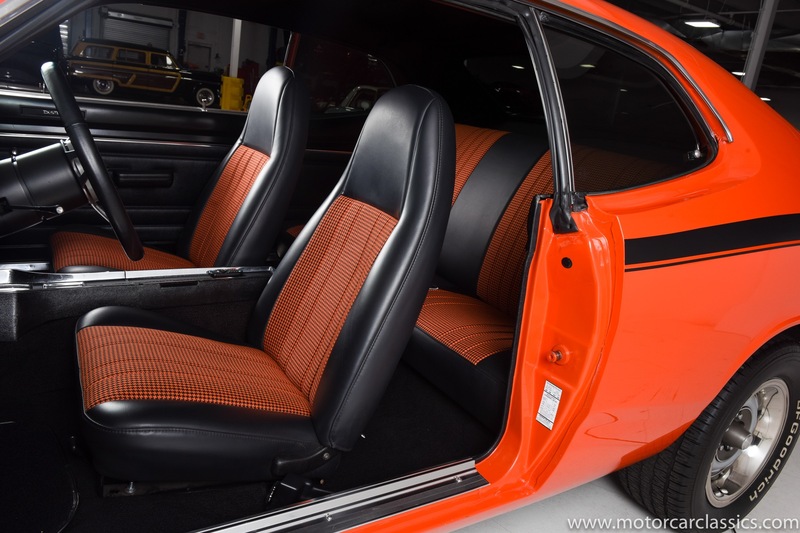 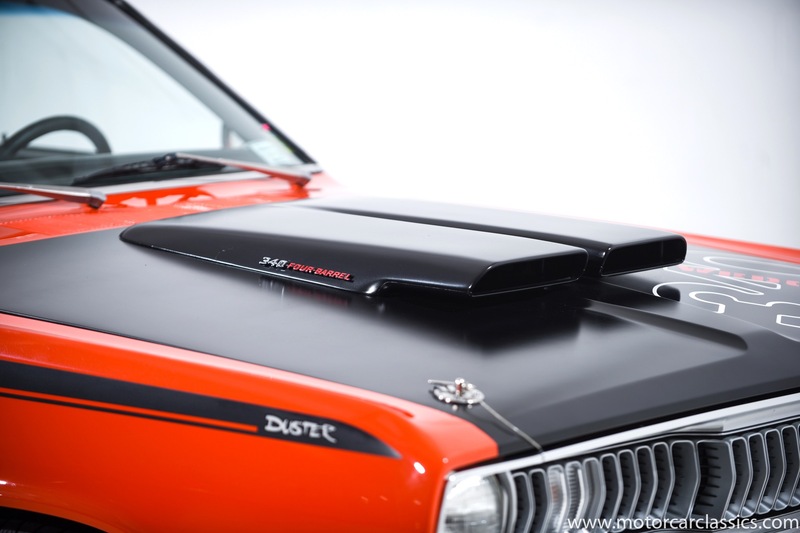 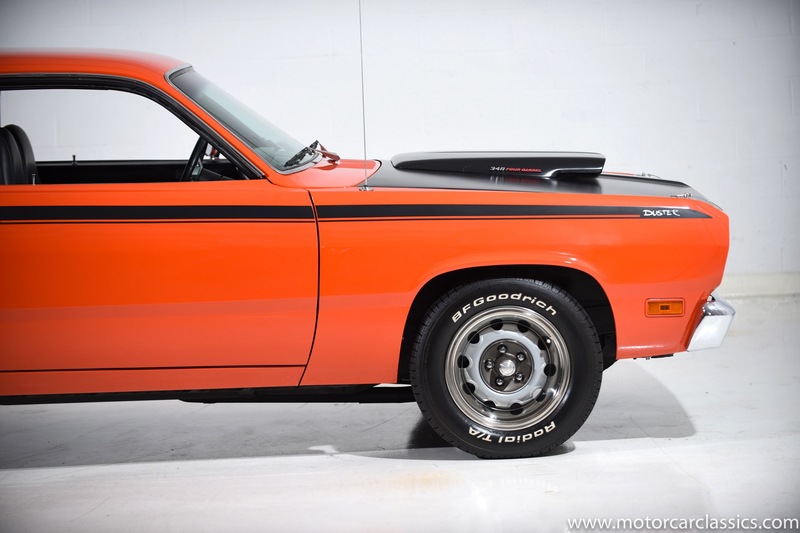 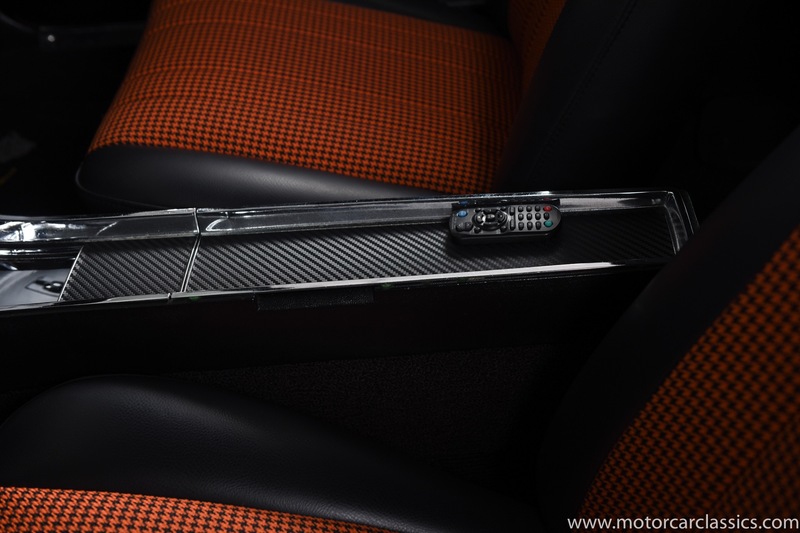 This Duster is featured in Hemi Orange with a proper orange and black bucket-seat interior. 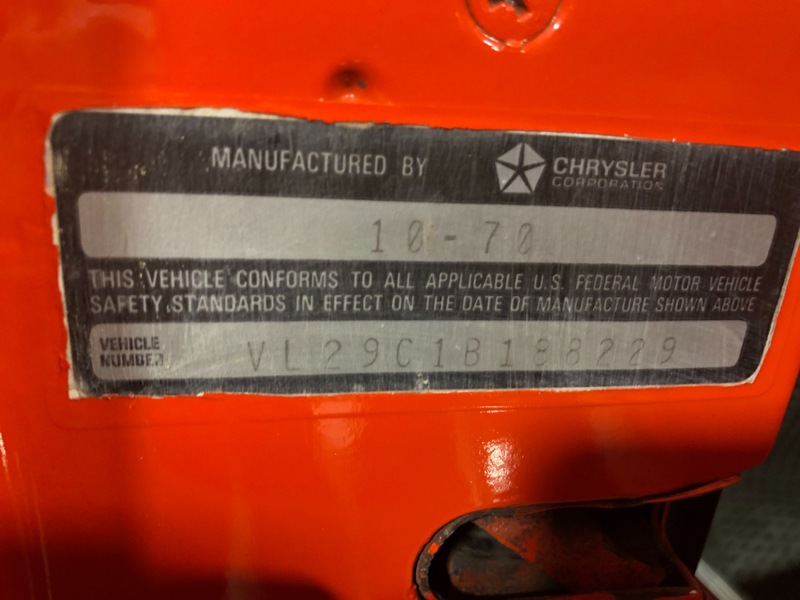 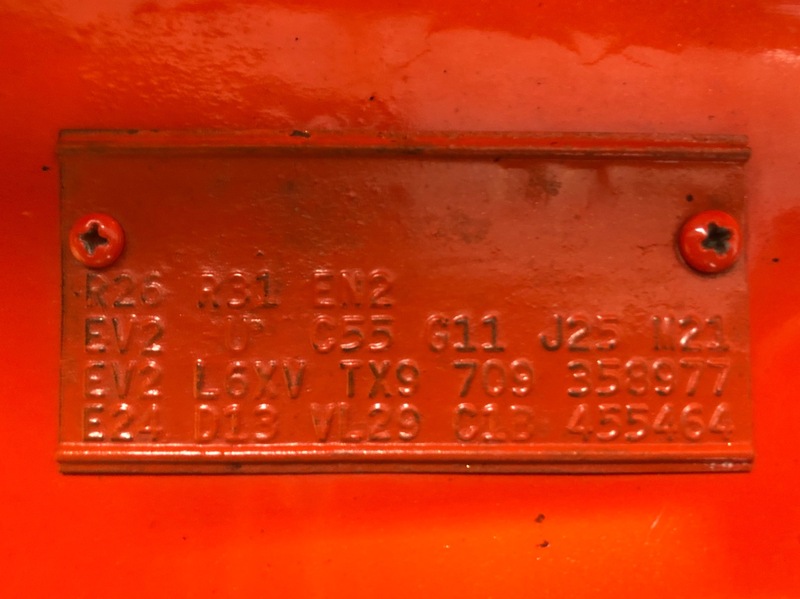 The car was professionally built by a shop in Georgia about three years ago and the construction is documented in a 4 binder full of photos and receipts. 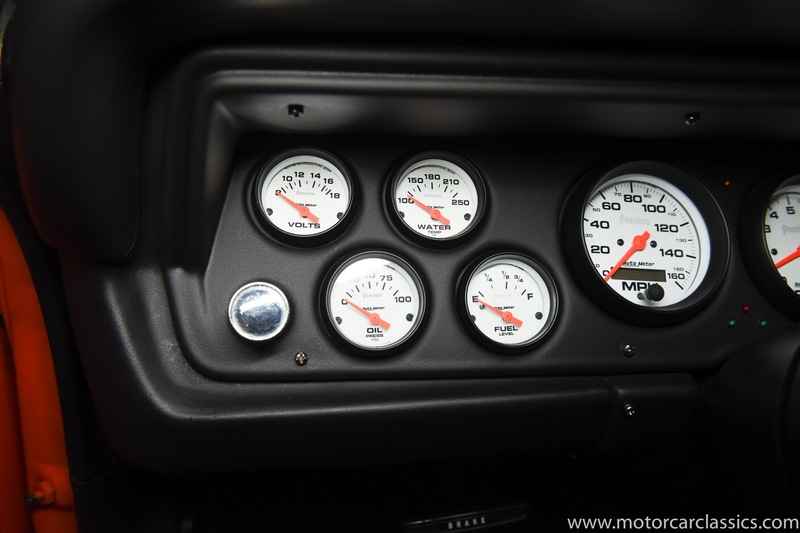 There is over $40,000 invested! 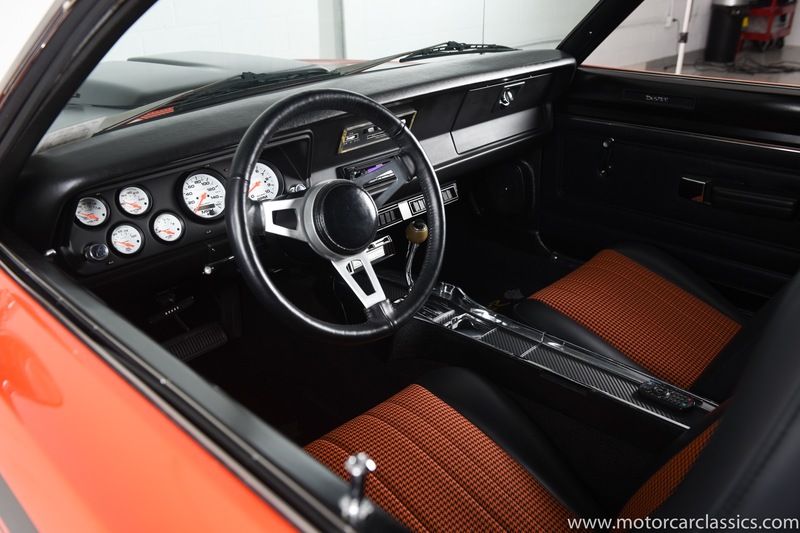 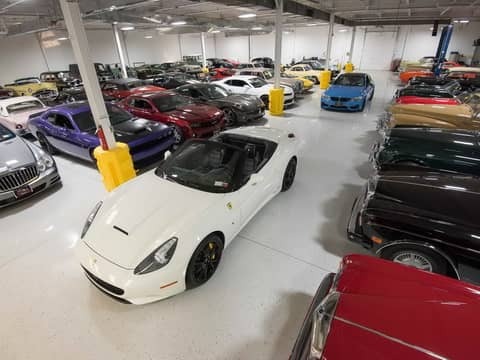 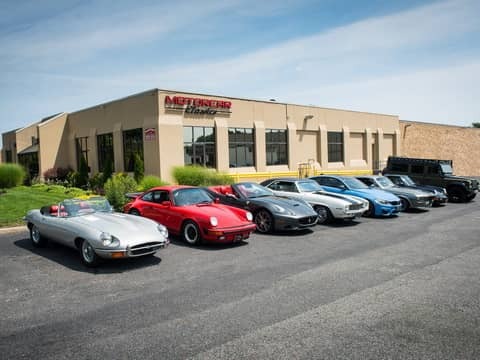 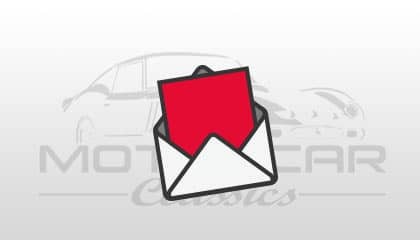 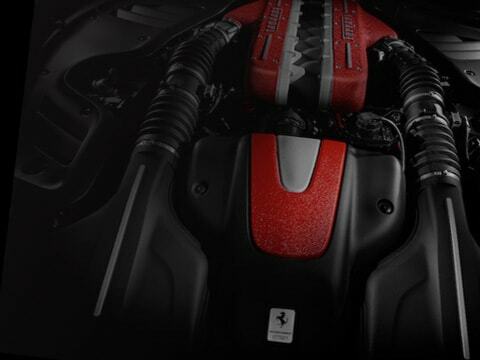 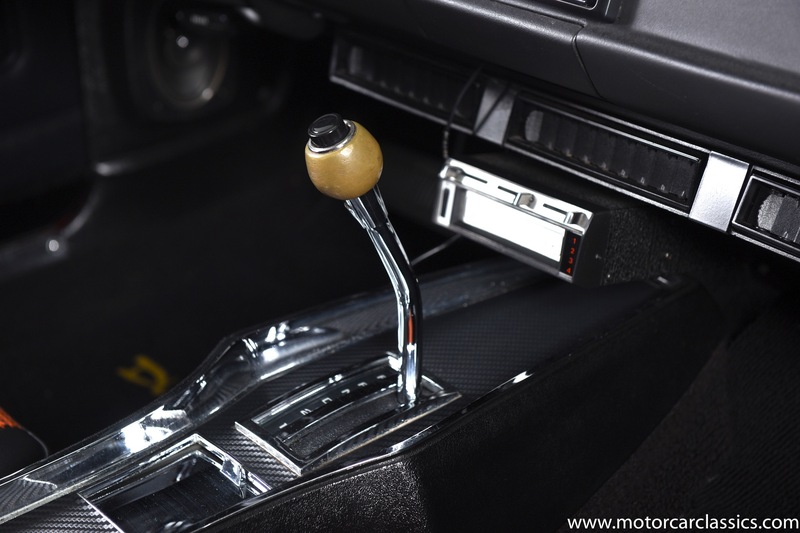 The car is running a 360CI V8 with a fast-road cam, 3-speed Torque-Flite transmission with valve body shift kit, and 3.55 gears. 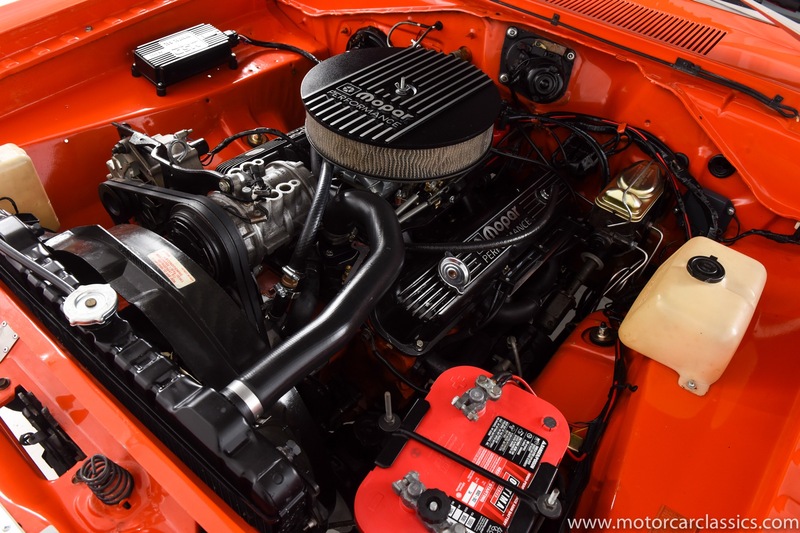 The engine has an Edelbrock intake manifold and Holley 650 CFM carburetor. 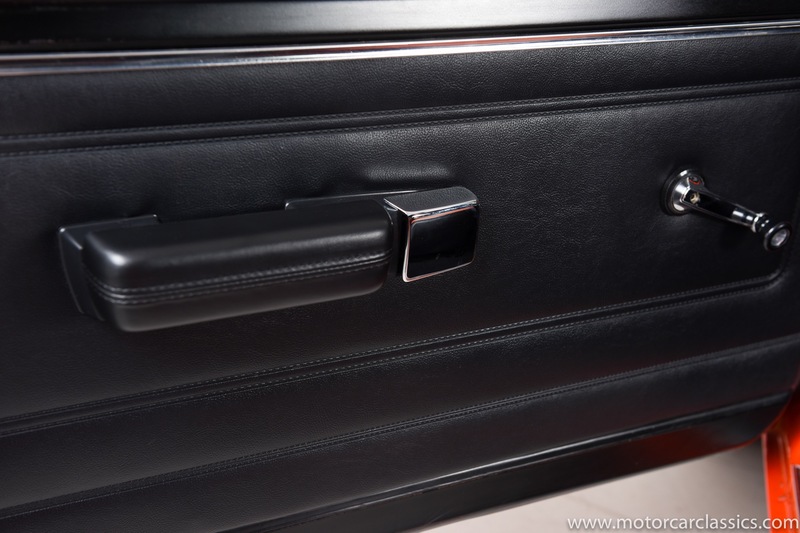 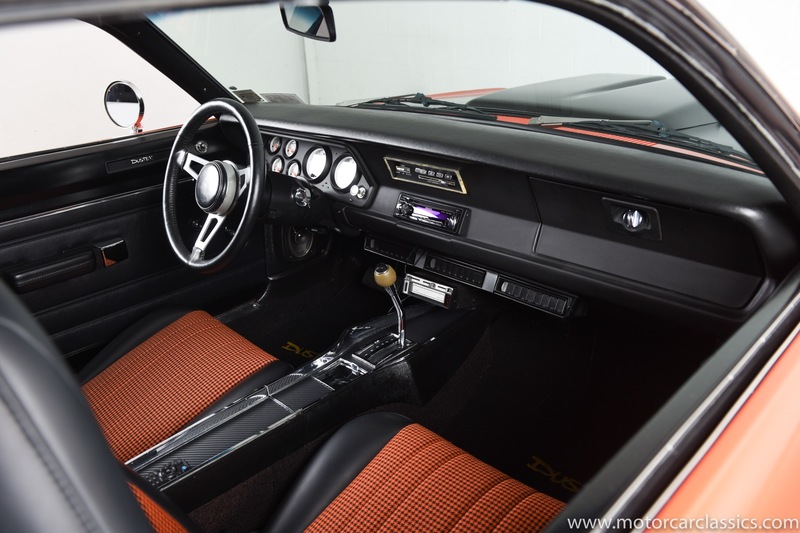 It has power steering and is originally fitted with AC. 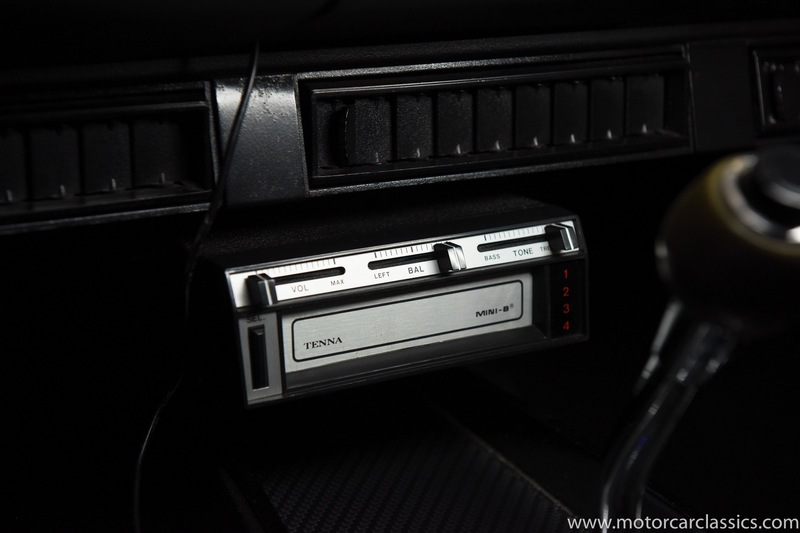 However, the AC is not connected. 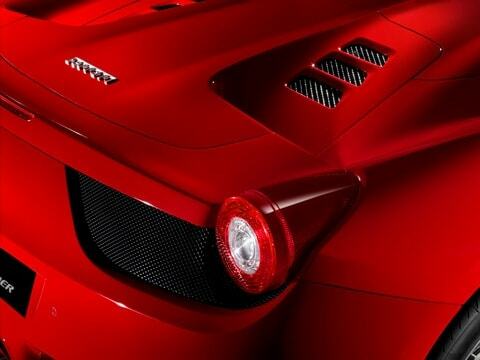 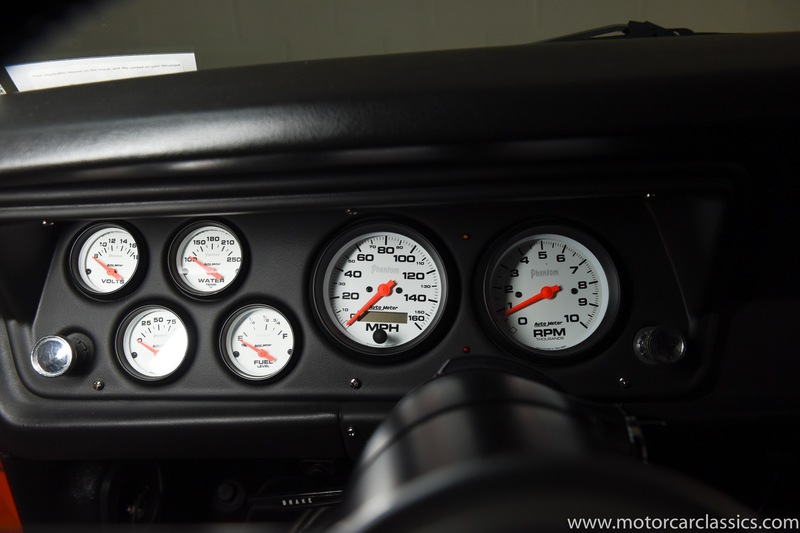 All work is done to a high standard and the car sounds great and goes fast. 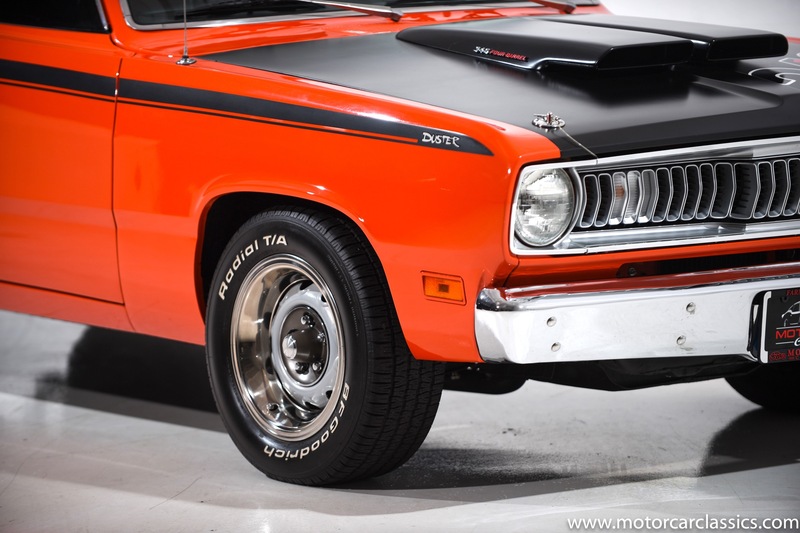 The grill and chrome are excellent, and the 15 Rally Wheels with oversize beauty rings really set off the finish. 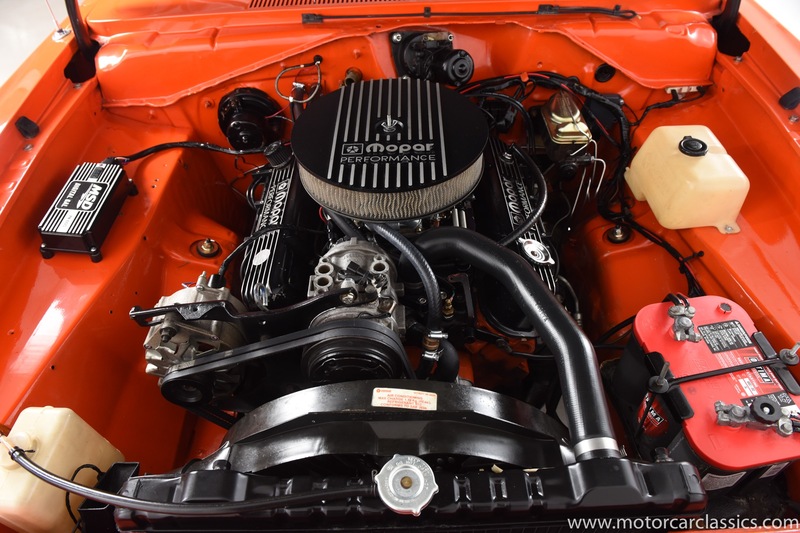 This car represents an excellent value in an awesome MoPar restomod.